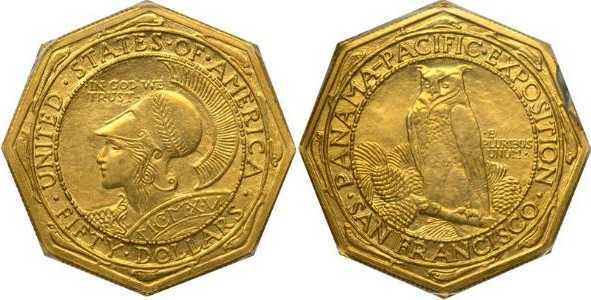 For the American coinage initiated by the Mint Act of 1792, the earliest appearance of a polygonal coin must be the octagonal 50-dollar piece dated 1915 and struck in San Francisco. A spectacular piece, which I must illustrate. While Googling, I saw reference to an 1851 $50 LE Humbert Fifty Dollar piece, which is apparently a pattern, and also gold and octagonal. Do you have any info about why it was minted, and do you think it was the inspiration for the 1915 piece? Thanks for the image. It is a great coin--and there is also the round companion piece of the same date and mint. 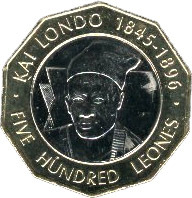 The 1915s coin inspired by the 1851 piece? My immediate reaction was "of course not," but then that's the beauty of having coins you've seen more or less your whole life reintroduced to you by someone with fresh eyes....I don't honestly know about the relation (if any) of the two pieces' shape--but the more I think about what the 1915s coin is celebrating, the more likely it seems that a link between the two could be possible. I'll look some. What I can say is that the 1851 piece is an "ingot," and as such is outside the Federal coin series (although there was at one time, seemingly, a concerted effort within the coin hobby to include it). The 1851 piece was coined at the assay office in California, by the U.S. Assayer of Gold, who coined gold for the private concern of Moffat & Company. A successor company issued similar octagonal ingots dated 1852. Again, thanks for the image, and thanks for the new perspective. 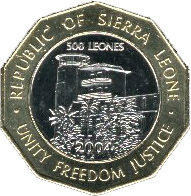 Here's a 10 sided bimetallic from Sierra Leone: 500 Leones (2004). I'm quite impressed by this Cabindan NLT. Weird denomination, strange shape for both inner and outer rim! 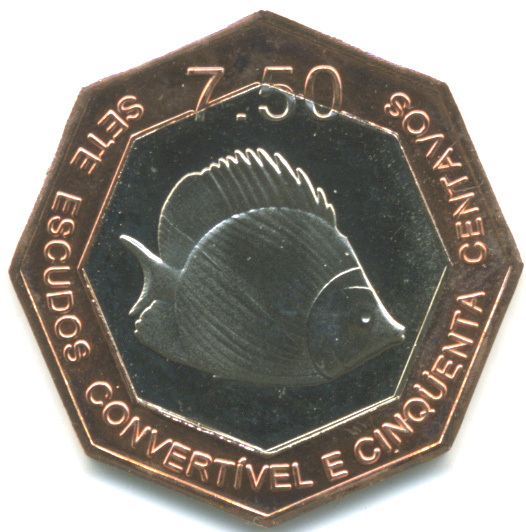 Here is a coin that can't properly be called polygonal, but it has a very unusual shape. Numismaster describes its shape as "fluted". If you imagine a scalloped coin, with its peaks and troughs at the edges, if those peaks and troughs were made much shallower, then it would probably end up as fluted. So I see a relationship between scalloped and fluted coins. How many pentagonal coins do you know of? I suspect these are mainly collector coins and not intended for circulation. Here's a pair that circulated. Yemeni 1/16 & 1/8 riyals from the late 1940s to 1950s. Inspired by Aditya's posts.. here's a 10 sided bi-metallic from Cape Verde, 100 escudos... featuring the Saiao flowers.. quite a beauty! 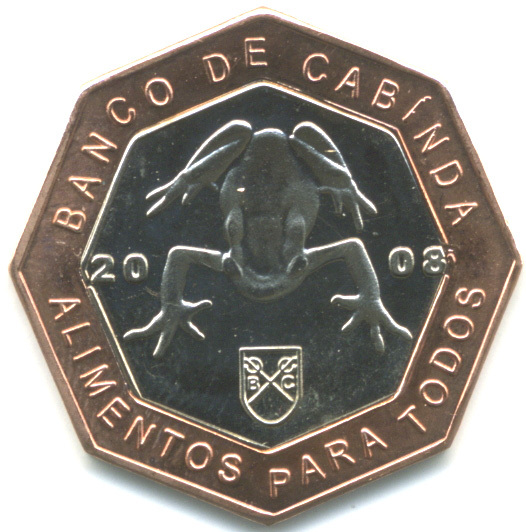 Dodecagonal, or 12-sided, coins have been struck in the past at the London Mint for the Colonies; but never before for the Imperial coinage. I thought the UK brass threepence was the first 12-sided coin of the British Empire. Which coins are alluded to here?